The Cardinals have built one of the deepest farm systems in Major League Baseball. The efforts of this process will be seen very shortly with the arrivals of Matt Adams, Trevor Rosenthal, Shelby Miller, and later Michael Wacha, Kolten Wong, and Oscar Taveras. We have seen some of the prospects already in St. Louis. We also got a glimpse of Taveras and Wong at last year’s Future Game. There are some not-so-well-known prospects that have a long shot of making it to the big leagues but are intriguing. These prospects reside way outside the top 10, but have that sleeper potential. These prospects will be in various stages of development. Colin Walsh played 2012 at Low A Quad Cities, his second full season there. Before 2012, Walsh struggled at the plate and in the field. In 2010 Walsh hit a combined 4 home runs between Johnson City, Batavia, and Quad Cities. In 2011 Walsh also hit 4 home runs for Quad Cities. In 2012 Walsh broke out in a big way, hitting 16 home runs for QC. Walsh can get on base with a career OBP of .390. Walsh’s defense may be what holds him back. Last season he 5 positions plus DH. If Walsh can continue his improved hitting and figure out his defense, he could progress through the system quickly and could be the future back up to Kolten Wong at second. Mike O’Neill was a 24th round draft choice for the Cardinals in 2010 out of USC and is an undersized outfielder at 5’9″ 170 lbs. O’Neill spent 2012 between High A Palm Beach and AA Springfield. He hit a combined .359 with an OBP of .440. A top of the order guy who frustrates opposing pitchers, O’Neill has improved his base stealing. In 2012 O’Neill stole 15 bases in 2012 compared to 4 in 2011. Although his base stealing has improved he was caught stealing 10 times last year. O’Neill should begin 2013 at Springfield, maybe all the way to Memphis. I could see him making an appearance in St. Louis if he can figure out how to steal bases. He would be a great late inning defensive substitution/pinch runner. Seth Maness was an 11th round selection for the Cardinals in the 2011 out of East Carolina. In his first full season in the Cardinals organization, Maness was stellar between Palm Beach and Springfield. He was a combined 11-3 with a 3.27 ERA and walked an amazing 10 batters the whole season. A weakness for Maness is his strikeout total. He struck out 83 in 123 IP. Despite being named the 2012 St. Louis Cardinals Minor League Pitcher-of-the-Year, with the great pitching depth in the system, will Maness get lost in the shuffle? Yet, he should be pitching in Memphis by the end of the season. Could Maness be 2013’s Trevor Rosenthal? Like Oscar Taveras, Carlos Martinez, and Anthony Garcia, Valera is an international signee for the Cardinals. He may be one of the most underrated prospects in the system. Valera spent the majority of 2012 at Batavia, the Cards’ former Short Season A level Affiliate. In 2013, State College will be the new SS A level affiliate. Valera hit .316 in 2012, but his on base percentag was only .359. He can play both middle infield positions above average. If Valera can get on base more he could be a future top 10 prospect. I see Valera starting at Low A Peoria, possibly High A Palm Beach. Lee Stoppelman, will turn 23 May 24. Lee Stoppelman is a product of the University of Central Missouri and was a 24th round draft pick in 2012. He is a left handed pitcher who has the size that scouts like, 6’2″ 210. 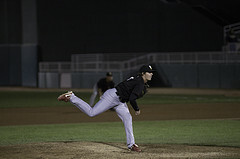 In 2012, Stoppelman pitched for Low A Batavia and was very successful in the short time he was there. In 34 innings, he struck out 49 for a 12.8 K/9. Stoppelman was used as Batavia’s closer and picked up 7 saves with a 0.79 ERA and a 0.87 WHIP. Stoppelman is extremely raw but will be someone I will keep my eye on this season. With his age, he should also begin in Peoria. I would love to see his strike out rate stay where it is. While extremely raw, I will be interested to see how Tuivailala makes the full transition in 2013. Yes the Cardinals are really building their international program and its showing with Carlos Martinez, Oscar Taveras, and Starlin Rodriguez. Valera hist for average but needs to work on getting on base. Not much of a power hitter but has low strikeout rates. His age is a benefit. He will be 20 for most of this season. He also can play solid defense at both SS and 2B. Definitely a sleeper at this point but will be interesting to watch.